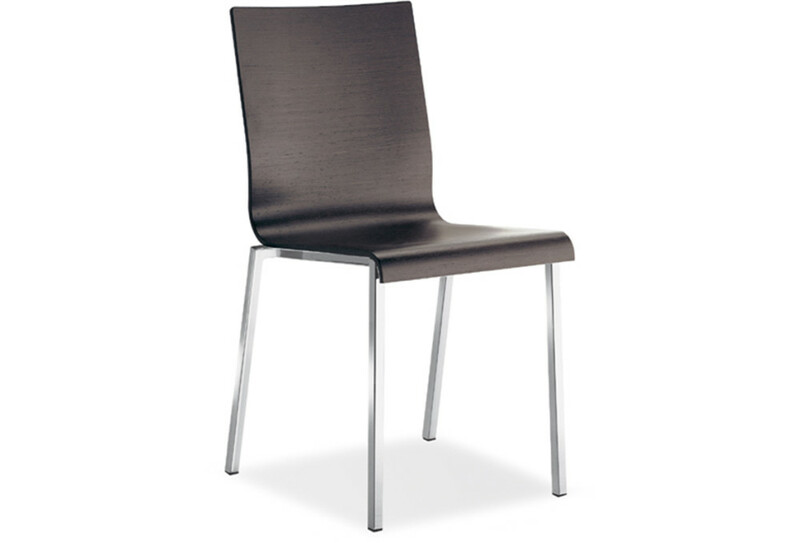 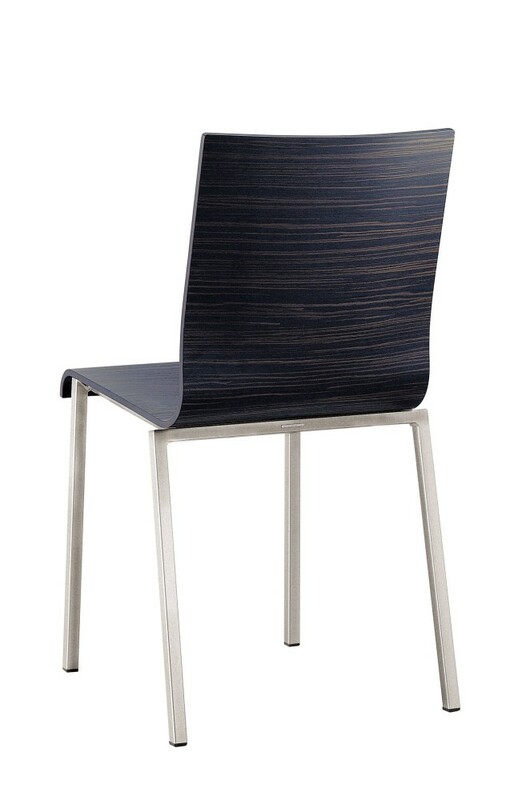 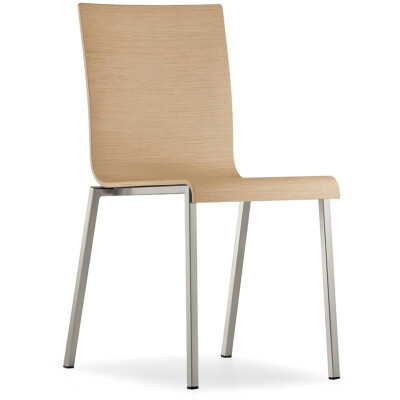 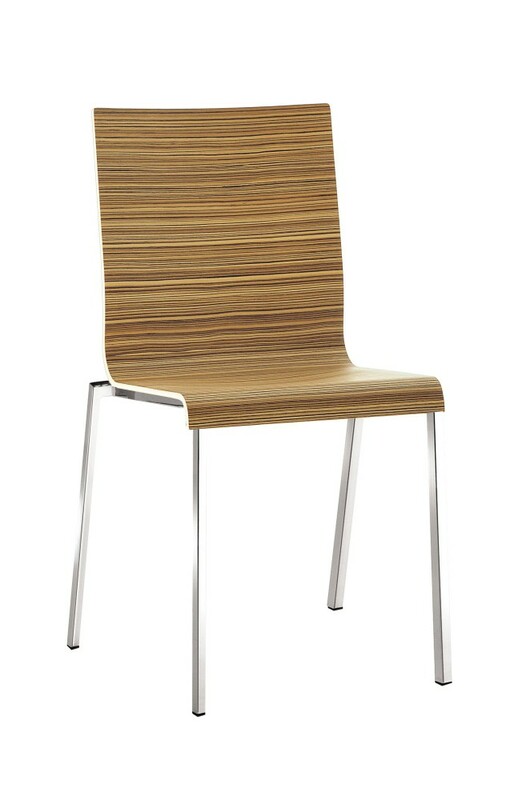 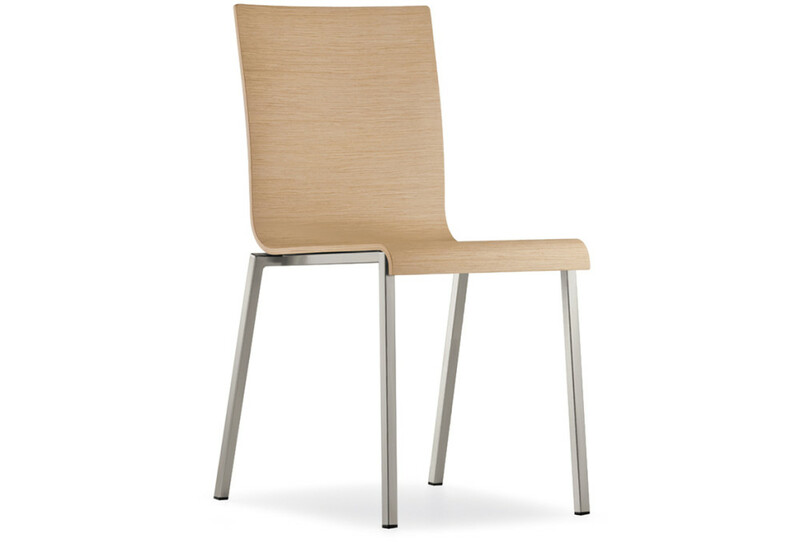 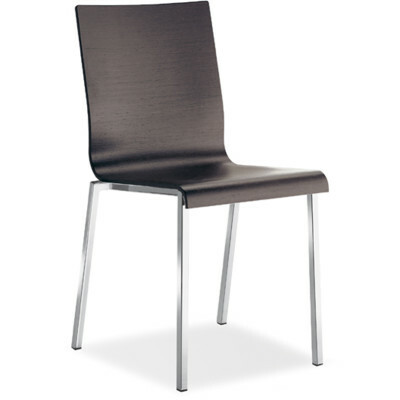 Stackable chair with multilayer shell bleached aok veneered. 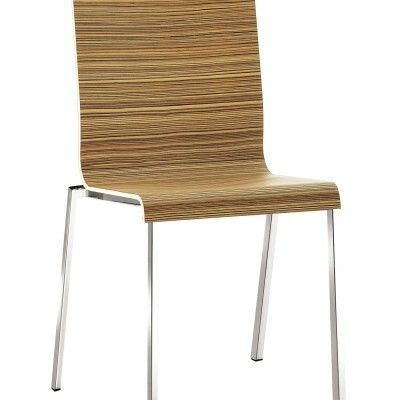 Shell also available stained wengé or ebony and zebrano veneered. 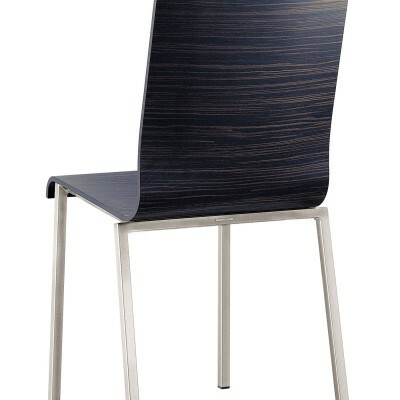 Frame mm 20×20 available satinized, chromed or powder-coated.